Content: The only objectionable thing in the book is the use of the “n” word (which doesn’t make the white Southerners look good at all). The library has it filed under adult graphic novels, but I think I’d put it with the teen ones. I’m sure even a curious 10- or 11-year-old would get something out of this one as well. I picked this up because it made the SLJ’s Battle of the (Kids) Books contenders list and I like to (try to) read as many as I can before the competition starts. Like every year, I found a wonderful book I’d have never picked up otherwise. 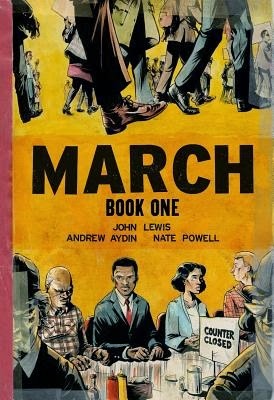 This is a slim graphic memoir, telling the first part of Congressman John Lewis’s story. (For the record, Hubby knew who Lewis was; I did not.) This volume starts with his childhood in Alabama, and goes through the Nashville sit-ins that he participated in. My favorite thing about this memoir was the framing: It opens with Lewis waking up the morning of Obama’s first inauguration, and the story unfolds as Lewis is remembering his path to D.C. as he tells it to a couple of constituents who have stopped by his office. It’s your pretty typical Civil Rights story: sharecropper parents save money for their own farm. After an exposure to a different way of doing things (he visited his uncle and aunt in New York City for a summer), child wants an education, rather than be stuck at home doing what his parents do. (I loved the bits about raising chickens, though.) He feels a call to be a preacher, and ends up at American Baptist Theological Seminary in Nashville. There is an interesting aside here: Lewis wanted to go to college in Alabama, closer to home, and actually met with Dr. Martin Luther King, Jr. and his lawyers to talk about segregating Troy State. In the end, though, Lewis’s family didn’t want to chance the backlash, so he stayed in Nashville. He was very influenced by the school of non-violent protests, and he got involved with a group that organized the sit-ins in Nashville in 1959. I think this was the most moving part of the book; the abuse and hurt that Lewis and his friends endured just so they could have the same services as the white people in Nashville was pretty brutal. This volume ends just after the Nashville mayor decrees that all businesses should be integrated. I’m quite interested to see where Lewis’s story goes from here. I loved the format as well: there aren’t enough non-fiction graphic novels (at least that I’ve read), and the art — done in stark black and white — adds to the intensity of the story. I’m glad I picked this one up. 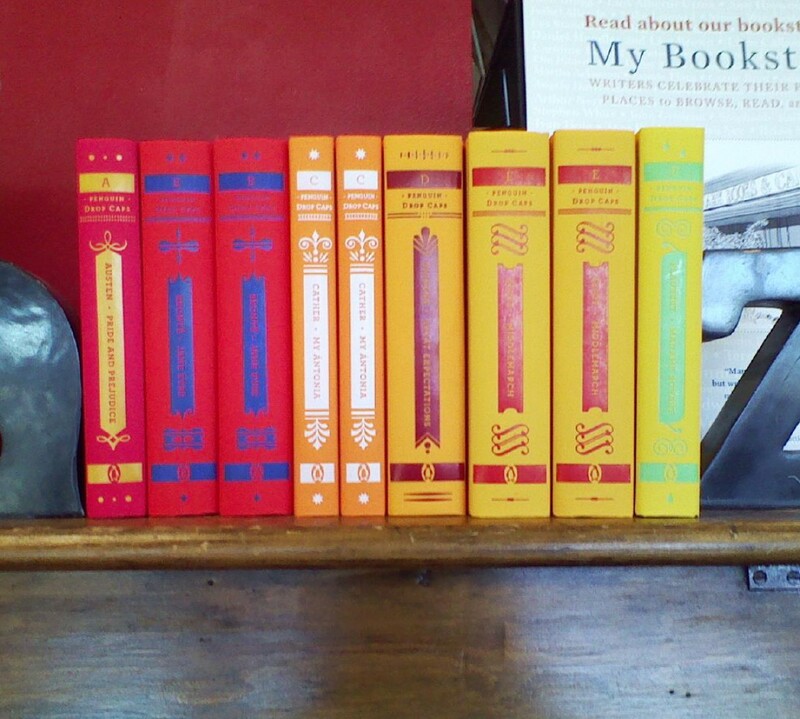 Blogging in general leads to me picking up books I never would otherwise!